Easy Scalability, Abundant Support, Lower Cost. Cloud Integration configure multiple application programs to share data in the cloud. In a network that absorb cloud integration, diverse applications communicate either directly or through third party software. Cloud services enables customers to develop, execute and govern integration flows between applications. Our cloud computing services include the assessing business needs, design, implementation, transition and operation of the cloud computing data center, private cloud, public cloud broker and hybrid cloud. We provide services in SaaS, PaaS, and IaaS. Cloud Integration can decrease the operational expense. Total Flexibility with no infrastructure. It doesn’t require additional on premise infrastructure. It provide strong support for web application programming interfaces. Cloud services enable businesses to lower their IT cost structures, attain the levels of agility and flexibility. Seamless synchronization of files across all devices is possible by storing your data within the cloud. Instant access to important data makes collaboration between employees easier than ever before. Cloud data integration help businesses to maximize efficiency across business units. The customer needs for security, collaboration and virtualization can be meet through cloud integration. 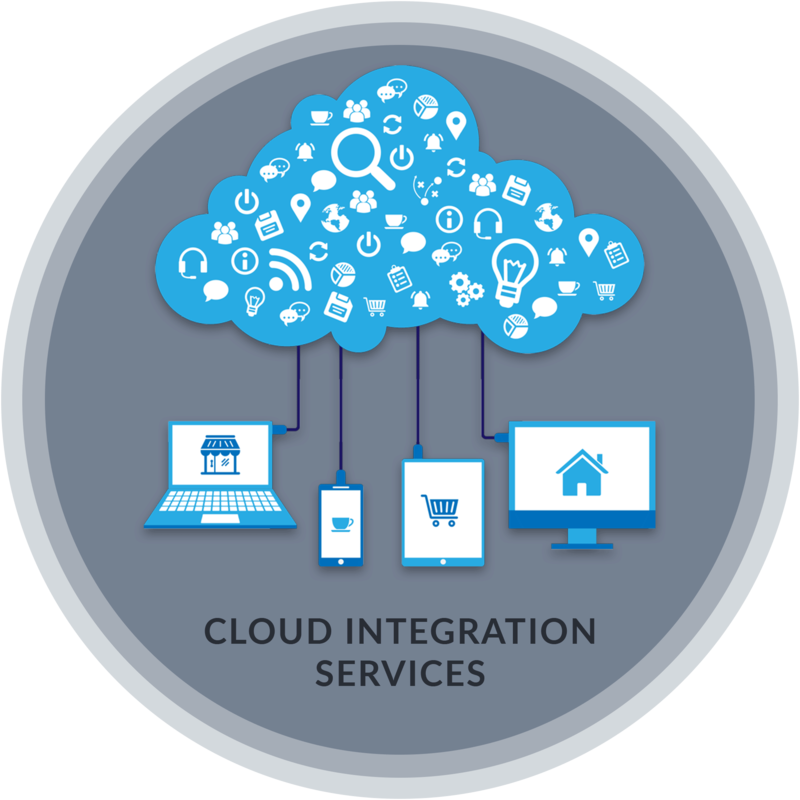 Our comprehensive cloud integration services solution helps to build the enterprise-wide connectivity, which makes your organization thrive. Important files are safe by automated backups to cloud-based storage system. Businesses can extend their investment through cloud integration. We adopt optimized process management services for data migration and the integration of end-user application, servers, storage, databases and cloud service providers.